Students in their final year of Doctor of Pharmacy program complete a series of Advanced Pharmacy Practice Experiences (APPE). 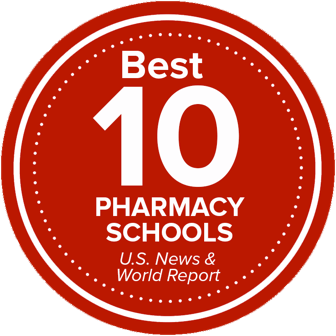 The goal of APPE is to continue to develop high-quality pharmacists by educating students to optimize drug therapy, apply problem-solving skills and provide excellent patient care. APPE enables students to develop the fundamental capabilities needed to be independent, ethically-minded and self-motivated practitioners, creating the mission and drive to advance the pharmacy profession. Students are assigned to a minimum of nine calendar months of APPE between May 1 and April 30. In addition, to receive Pharmacy 7008 (APPE Professional Activities) credit, students are required to complete activities such as creation of a professional portfolio, completion of work toward earning a certificate from APhA for their Delivering Medication Therapy Management Services program, completion of ten hours of community health service, and ten hours of professional development. During APPE rotation months, PharmD students also complete assignments for the APPE Professional Activities course (PHR 7008), which requires students to complete pharmacy related projects, such as creating a professional portfolio and earning a certificate from APhA’s Delivering Medication Therapy Management Services program. If you have any questions about the APPE program at The Ohio State University College of Pharmacy, contact Julie Legg, PharmD, Director of Experiential Education.